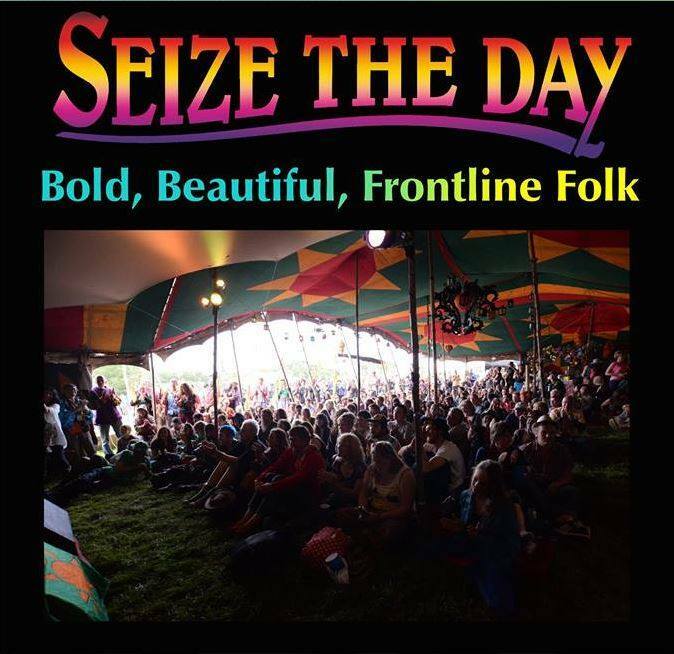 A Pre-Festival Warm-up on Saturday 16th September at the Sumac Centre, beginning with a People’s Kitchen Meal at 7pm, followed by a Special Benefit Gig by/for Seize The Day, the campaigning activist folk band that are coming all the way from Somerset to support Nottingham Green Festival. As many of you may be too busy to enjoy all the bands, spoken word performers, busters, kids entertainers, acoustic acts and other activities on the day, join us for this special opportunity to see this amazing band. This event may also double as an after-party for the Stuff Of Life Festival being held at the nearby Hedley Villas Park from 12-6pm on that Day Before the Green Festival. 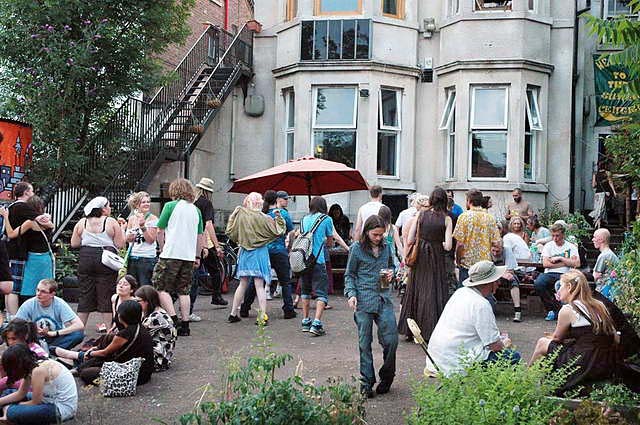 Nottingham Green Festival is a grass-roots event, run by volunteers as a cooperative, with no regular statutory funding. All reserves were used up in putting on the 2015 event, so funds need to be raised to ensure that the event continues on Sunday 17th Sepember 2017 – and beyond. The festival has been blessed by the support of many great bands, kids entertainers and spoken word performers, some of who will entertain us at Sumac each month. 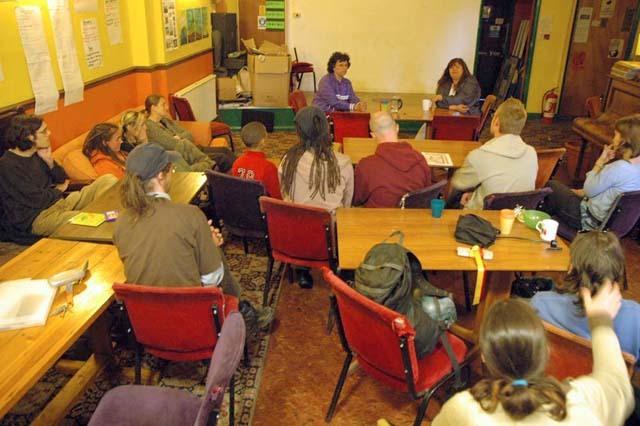 As well as many small green businesses & craft workers, the event has provided outreach for most local ‘green’ campaigns, one of which will be invited to present at Sumac each time. The evening will begin with a ‘People’s Kitchen‘ meal, provided by one of the great caterers that appeared at the Green Festival. Please come and enjoy the evening, add some funds and find out how you can give practical support to Nottingham Green Festival. Vegan Haggis, neeps and tatties PLUS dessert on a PAY WHAT YOU CAN basis. Proceeds on the night will be donated to Animal Aid, in recognition of the fantastic work they do and for the support they have provided us in organising this year’s Vegan Challenge. Food will be served from 7pm, so arrive early to avoid disappointment. Following the main course we have a number of short talks as well as music and entertainment. 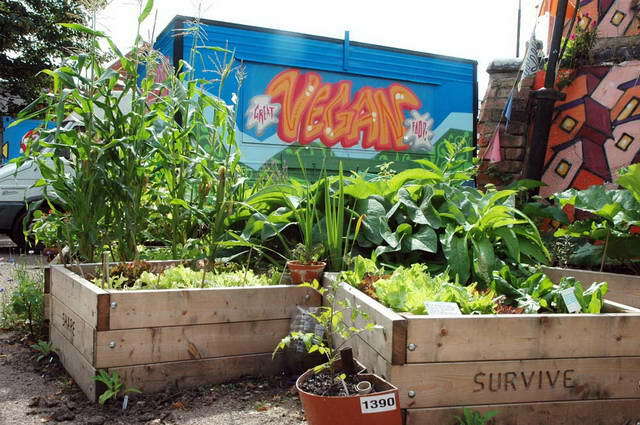 The Challengers & Mentors from the Leiceser Vegan Challenge will be joining us for this event, so this is lovely opportunity to meet new and existing vegans. You can also follow Sue MacCafe on Facebook or stay up-to-date with People’s Kitchen plans by subscribing to the SumacNews email newsletter.